Where did the month of August go?! Seriously, I feel like the first day of summer was just yesterday - but I'm so ready for fall and cooler weather! 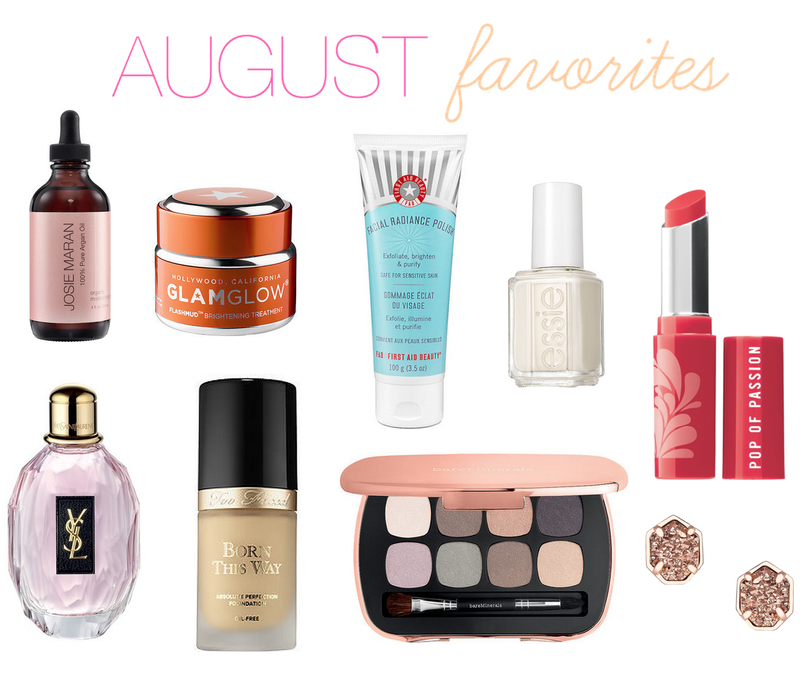 To sum up the month, I've rounded up some of my favorite products from this past month that I've been loving ranging from makeup to skincare and jewelry. Have you been loving any of the products below? Favorite polish: ESSIE "TUCK IT IN MY TUX"
Favorite lip color: BARE MINERALS POP OF PASSION IN "PUNCH POP"
Have some favorite products you think I should try? Leave them in the comment section below, or tweet me!